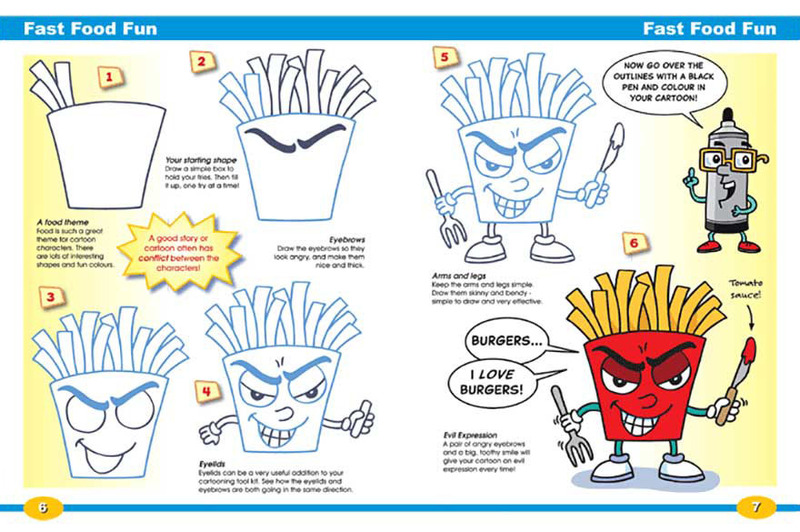 In his third 'How to Draw Cartoons' book, Richard introduces more new characters to draw. 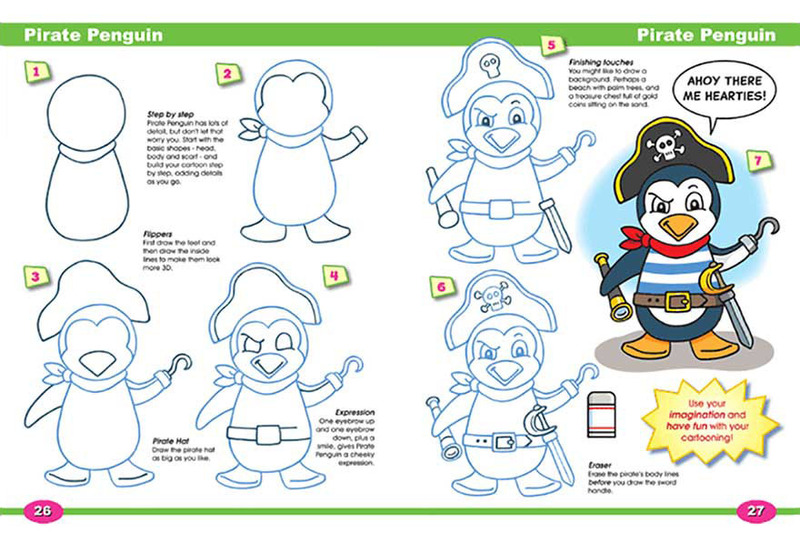 Each cartoon character is broken down into lots of steps, so even a cartoon like the pirate penguin is quite simple to draw. You'll be surprised at just how easy it can be! 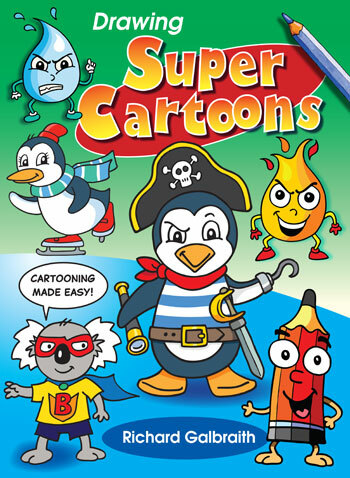 Two of the most important aspects of cartooning are confidence and imagination. 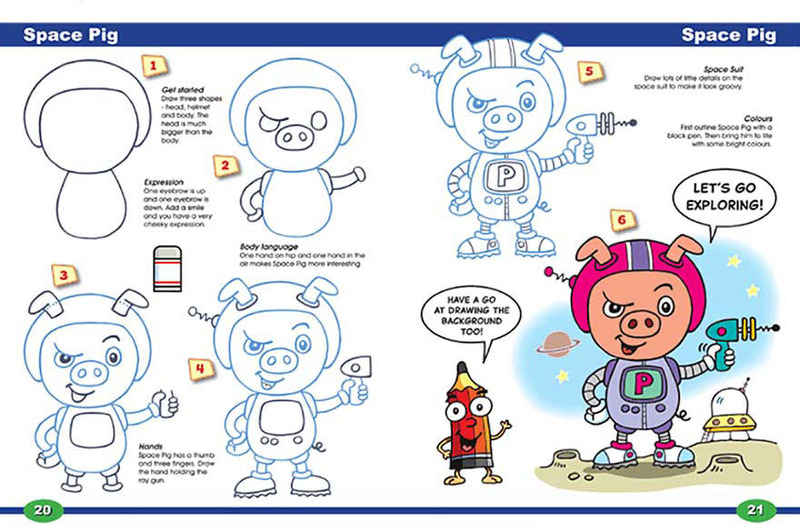 This book helps you develop heaps of both.